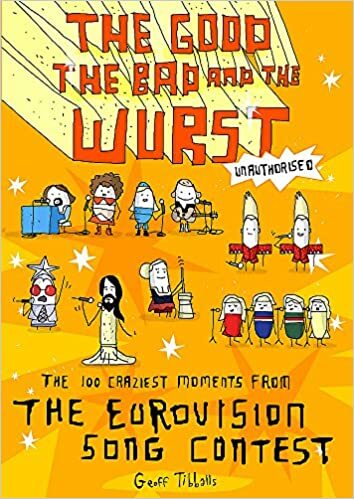 As my latest novel “Over My Dead Body” is set at Eurovision and I’m a fan of the show it comes as no surprise that I received the above mentioned books as present for my last birthday. The Eurovision Song Contest” or short Eurovision is a European Musical Extravaganza established in 1956. It has cult status for some but in the western main stream has a reputation for cheesy pop music and outrageous staging and costumes. I’ve been a fan since the 1980s and harbour a love-hate relationship with it, too, due to the differing quality of the songs. 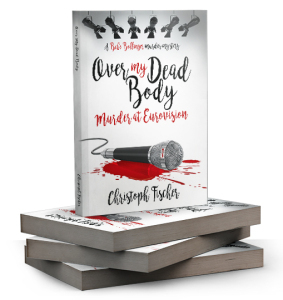 In my latest book, former singing legend Bebe Bollinger, travels to the Contest of 2013 in Malmo to seek a career revival and solve a couple of mysterious incidents in the run up to the event.